If you’re looking for a challenging and unique, fun experience to enjoy with family and friends, Escape Room Mentor is the place to go. 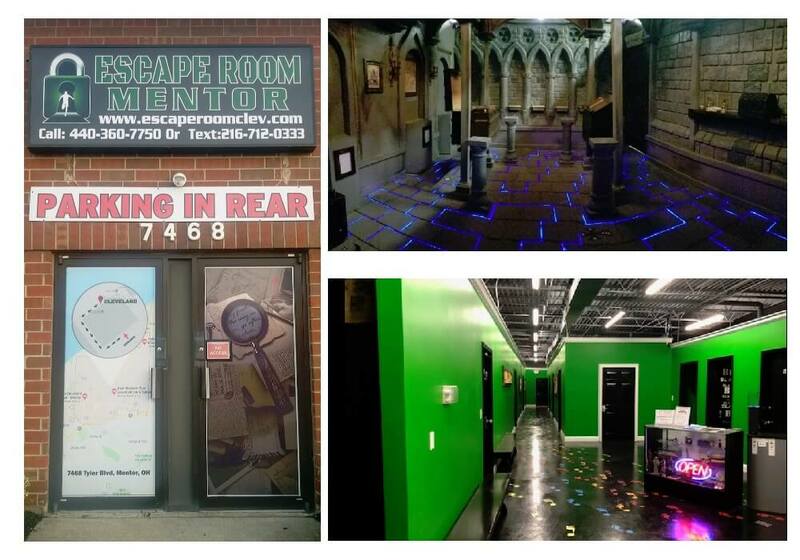 Unlike anything you’ve ever experienced, our escape room facility houses the largest and most interactive escape game rooms in the Cleveland area. You and your friends or family members will love the thrill of running around trying to find clues, solve puzzles, and work as a team in order to break out of one of our 5 rooms in under 60 minutes. Step into one of our escape rooms in Mentor, OH, and you’ll begin to feel like you’re actually living in a virtual reality. Each room contains various clues, hints, puzzles, and hidden objects that correspond to one another in order to help you obtain the key to your freedom. If you love adventure and problem solving or you simply want a new, fun way to bond with your co-workers, family, or friends, our Escape Room Mentor is where you need to be. Check out the five newest escape games we offer at this top-of-the-line Cleveland’s best escape room experience. Scroll through below and click on any description to learn more, or click book now, to see what’s available in Mentor, Ohio. Scroll through our five escape games at Escape Room Mentor to decide which game works best for you and your friends, date or family. If you're looking for something fun and challenging to do in Cleveland, you've found the right place. We have fifteen total escape rooms in our three Cleveland Escape Room locations that are bound to satisfy your need for fun and excitement for months to come!